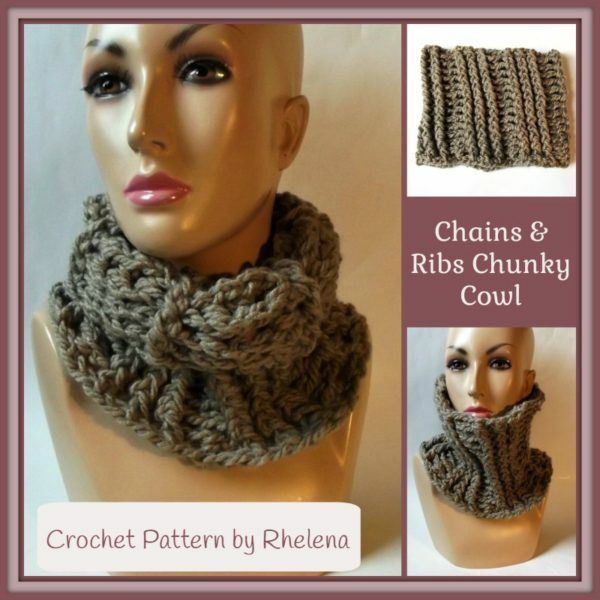 Keep warm and cozy with this crochet chunky cowl pattern. The chunky cowl is nice and tall so you can either fold it over for a super cozy layer around your neck. Or, Pull it up over your chin to help keep your face warm too. Not only does this crochet chunky cowl work up quick and easy, but you can easily increase the length to a comfort fit for you. Just take note of the stitch count and before you get started. As an oversized cowl, you could also wear this as a hooded cowl, or over the shoulders as a cozy cowl wrap. The cowl is crocheted in a chunky yarn, but feel free to use any other yarn you have on hand. Just make sure to adjust your beginning chains for a proper fit. 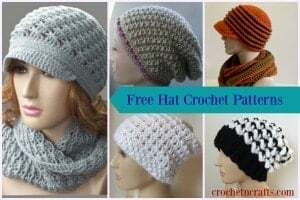 You might also be interested in this hooded scarf crochet pattern, or this crochet infinity cowl. Gauge: 3.5″ across 4 (hdc, ch1). Finished Size: When laying flat it measures 10.5″ across and 8.5″ from top to bottom. Ch 48, or any multiple of 8. Join with sl st being careful not to twist chs. Rnds 3-15: Rep rnd 2. Fasten off at last rnd. This pattern is also available in Craftsy and Ravelry.